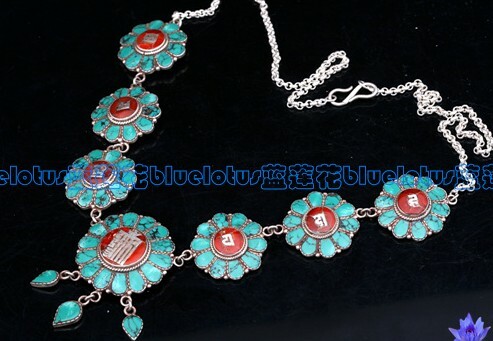 Handmade Tibetan OM Mani Padme Hum Necklace Tibetan Turquoise Necklace . 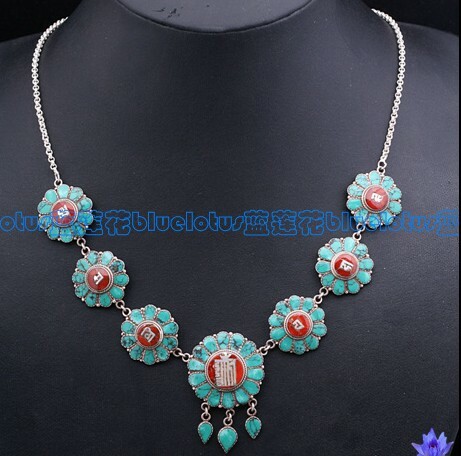 This Tibetan necklace was handmade in Nepal from natural turquoise, coral and sterling sivler. 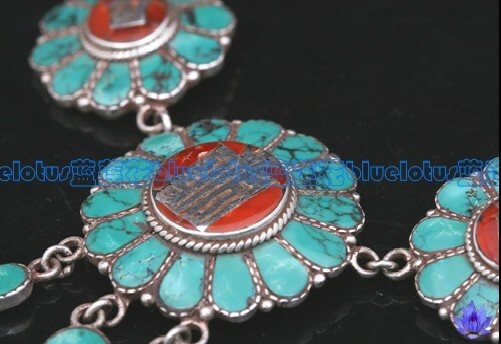 length: 500mm, Turquoise size: 45x515mm. 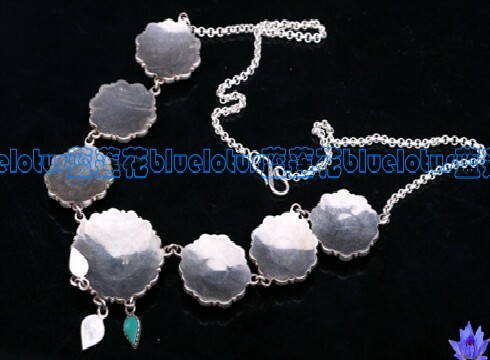 weight: 49.7g.